Make a statement with this 8 1/2″ brooch. Created of reclaimed Sterling Silver that has been oxidized. 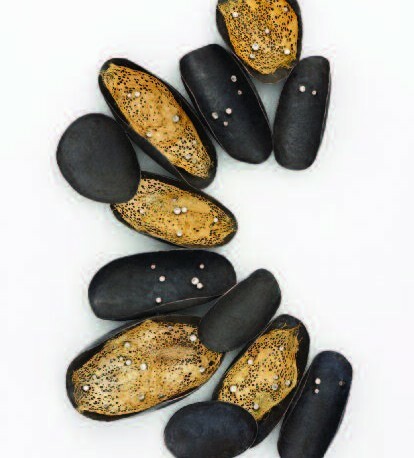 Several of the “pods” are accented with wild silk from an Indonesian moth. The silk produced by the moth is a natural golden color. Andrea Williams, Bound Earth designer.